Correction of arbitration awards is one of the post-award remedies intended to rectify any errors, ambiguities or omissions in the arbitral tribunal’s award after its issuance. It frequently occurs in practice that arbitral awards contain certain minor, or sometimes, more significant, mistakes, ambiguities or omissions. While these errors usually concern minor and incidental issues, certain types of errors might also arise which can have an impact on the outcome of the case and the award of damages. Typical examples include incorrect mathematical calculations of amounts owned, failures by the arbitrator to address certain arguments, claims or evidence, or simply inverting the description of the parties (designating claimant as respondent and vice versa). When such errors are obvious or insignificant, the parties may choose to ignore them. However, when errors are so significant that they have a material impact on the decision, a party may wish to request a correction, interpretation or supplementation of an arbitral award. Almost all legal systems allow for the correction of typographical or computational errors in awards, a matter which is typically governed by the applicable lex arbitri. This is also provided for in Article 33 of the UNCITRAL Model law, which provides that within 30 days of receipt of the award, a party may “request the arbitral tribunal to correct in the award any errors in computation, any clerical or typographical errors or any errors of similar nature”. The tribunal is also authorized to make corrections to its award “on its own initiative,” within the same time limit. Similar provisions have been implemented in a number of national arbitration laws. For example, English Arbitration Act 1996, Section 57, provides that a tribunal may, on its own initiative or on the application of a party, correct an award to “remove any clerical mistake or error arising from an accidental slip or omission or clarify or remove any ambiguity in the award”. Furthermore, almost all procedural rules contain provisions for the correction of an award upon the request of the parties or on the tribunal’s own initiative, providing for certain time limits in which the request for correction can be made. Within 30 days after the receipt of the award, a party, with notice to the other parties, may request the arbitral tribunal to correct in the award any error in computation, any clerical or typographical error, or any error or omission of a similar nature. If the arbitral tribunal considers that the request is justified, it shall make the correction within 45 days of receipt of the request. Such corrections shall be in writing and shall form part of the award. The provisions of article 34, paragraphs 2 to 6, shall apply. On its own initiative, the arbitral tribunal may correct a clerical, computational or typographical error, or any errors of similar nature contained in an award, provided such correction is submitted for approval to the Court within 30 days of the date of such award. Any application of a party for the correction of an error of the kind referred to in Article 36(1), or for the interpretation of an award, must be made to the Secretariat within 30 days of the receipt of the award by such party, in a number of copies as stated in Article 3(1). After transmittal of the application to the arbitral tribunal, the latter shall grant the other party a short time limit, normally not exceeding 30 days, from the receipt of the application by that party, to submit any comments thereon. The arbitral tribunal shall submit its decision on the application in draft form to the Court not later than 30 days following the expiration of the time limit for the receipt of any comments from the other party or within such other period as the Court may decide. A decision to correct or to interpret the award shall take the form of an addendum and shall constitute part of the award. The provisions of Articles 32, 34 and 35 shall apply mutatis mutandis. Where a court remits an award to the arbitral tribunal, the provisions of Articles 32, 34, 35 and this Article 36 shall apply mutatis mutandis to any addendum or award made pursuant to the terms of such remission. The Court may take any steps as may be necessary to enable the arbitral tribunal to comply with the terms of such remission and any additional ICC administrative expenses may fix an advance to cover any additional fees and expenses of the arbitral tribunal and any additional ICC administrative expenses. The correction of arbitral awards is not, as sometimes mistakenly believed by parties, an appeals procedure or opportunity to rehear any procedural and substantial issues that have already been decided by the tribunal. Correction is, and should be limited to, correcting only narrow and specific types of errors. As explained in the Secretariat’s Guide to ICC Arbitration, requests for correction or interpretation of an award “are not appeals in disguise” and Article 36(2) does not provide a means of appeal. Article 36 does not permit the arbitral tribunal to review the substance of its reasoning or deal with additional claims or arguments, but is limited to situations involving clear errors or vague language. In order to prevent parties from making unwarranted applications, Article 36(4) of the ICC Rules further provides that any application made under Article 36(2) that falls outside its scope may prompt the arbitral tribunal to order the applicant to pay the arbitral tribunal’s fees and expenses, the ICC administrative expenses and any costs incurred by the other parties. Finally, as the correction of awards should be used only for mistakes that could alter the meaning of an award, this also explains why it is rarely used in practice. Most such mistakes by the tribunal can and should be identified during the ICC Court’s scrutiny process. 27.1 Within 28 days of receipt of any award, a party may by written notice to the Registrar (copied to all other parties) request the Arbitral Tribunal to correct in the award any error in computation, any clerical or typographical error, any ambiguity or any mistake of a similar nature. If the Arbitral Tribunal considers the request to be justified, after consulting the parties, it shall make the correction within 28 days of receipt of the request. Any correction shall take the form of a memorandum by the Arbitral Tribunal. 27.2 The Arbitral Tribunal may also correct any error (including any error in computation, any clerical or typographical error or any error of a similar nature) upon its own initiative in the form of a memorandum within 28 days of the date of the award, after consulting the parties. 27.3 Within 28 days of receipt of the final award, a party may by written notice to the Registrar (copied to all other parties), request the Arbitral Tribunal to make an additional award as to any claim or cross-claim presented in the arbitration but not decided in any award. If the Arbitral Tribunal considers the request to be justified, after consulting the parties, it shall make the additional award within 56 days of receipt of the request. 27.4 As to any claim or cross-claim presented in the arbitration but not decided in any award, the Arbitral Tribunal may also make an additional award upon its own initiative within 28 days of the date of the award, after consulting the parties. 27.5 The provisions of Article 26.2 to 26.7 shall apply to any memorandum or additional award made hereunder. A memorandum shall be treated as part of the award. Pursuant to Article 27.1 of the 2014 LCIA Rules, the parties may request the tribunal to correct certain types of errors, namely “any error in computation, any clerical or typographical error, any ambiguity or any mistake of a similar nature”. As noted in the User’s Guide to the LCIA Rules, while this list is exhaustive, the open-ended formulations of “any ambiguity or any mistake of a similar nature” blurs the boundary between, on the one hand, errors for which correction is permitted and, on the other hand, other errors for which correction is not permitted. 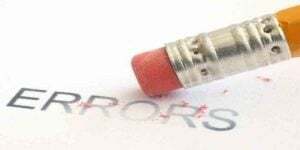 The User’s Guide to the LCIA Rules further refers to the same examples of genuine corrections, which include cases where the award contains typos, miscalculations or uses wrong data in calculations or mistakenly refers to the wrong document or party (e.g., Claimant instead of Respondent). On the other hand, examples of improper corrections include cases where the arbitral tribunal would have to re-consider evidence, revise findings on the merits based on new evidence or add new findings and orders previously omitted in the original award. Article 27(2) of the LCIA Rules also provides for the power of the tribunal to make corrections on its own initiative. Any such correction can be made within 28 days of the issuance of the award, after prior consultation with the parties. In the 2014 version of the LCIA Rules, in comparison to previous versions, the correction of an award on the arbitral tribunal’s initiative is not limited to only the type of errors referred to in Article 27.1, but “any error (including any error in computation, any clerical or typographical error or any error of a similar nature)”. As noted in the User’s Guide to the LCIA Rules, this is a rather unusual provision in comparison to other rules, providing for broad new powers of the arbitral tribunal. Finally, when it comes to the form in which the corrections are made, they are always made in writing, either in the form of a separate addendum (Article 36(3)) of the ICC Rules) or separate memorandum (Article 26(4) of the LCIA Rules). These form part of the award, as explicitly provided for by the respective Rules. This means that changes are not directly made to the original award. As noted by the User’s Guide to the LCIA Rules, this approach has several advantages: first, it maintains a clear record of the different versions of the award; second, an addendum/memorandum is limited to the correction of errors and carries less risk of containing further errors than a document containing the updated and modified version of the award following the tribunal’s changes and, finally, the memorandum also allows the arbitral tribunal to clearly outline the modifications to be made. Therefore, while correction of the arbitration awards can be a necessary post-award remedy, its application should be narrow and limited to a small number of cases where actual errors have an impact on the decision or damages awarded. In no event should a request for correction be used as “an appeals procedure in disguise“, or an attempt to have the tribunal reconsider the issues, claims or evidence it has already ruled upon. The Secretariat’s Guide to ICC Arbitration, Jason Fry, Simon Greenberg and Francesca Mazza, p. 349, see former Article 35 of the 2012 ICC Rules, now Article 36(2) of the 2017 ICC Rules. The Secretariat’s Guide to ICC Arbitration, Jason Fry, Simon Greenberg and Francesca Mazza, para. 3-1272. Arbitrating under the 2014 LCIA Rules: A User’s Guide, by Maxi Scherer, Lisa Richman, et al., (Kluwer Law International, 2015), para. 57. Arbitrating under the 2014 LCIA Rules: A User’s Guide, by Maxi Scherer, Lisa Richman, et al., (Kluwer Law International, 2015), para. 58. Arbitrating under the 2014 LCIA Rules: A User’s Guide, by Maxi Scherer, Lisa Richman, et al., (Kluwer Law International, 2015), para. 60. Arbitrating under the 2014 LCIA Rules: A User’s Guide, by Maxi Scherer, Lisa Richman, et al., (Kluwer Law International, 2015), paras. 62-63. Arbitrating under the 2014 LCIA Rules: A User’s Guide, by Maxi Scherer, Lisa Richman, et al., (Kluwer Law International, 2015), paras. 63-64. Arbitrating under the 2014 LCIA Rules: A User’s Guide, by Maxi Scherer, Lisa Richman , et al., (Kluwer Law International, 2015), para. 65.